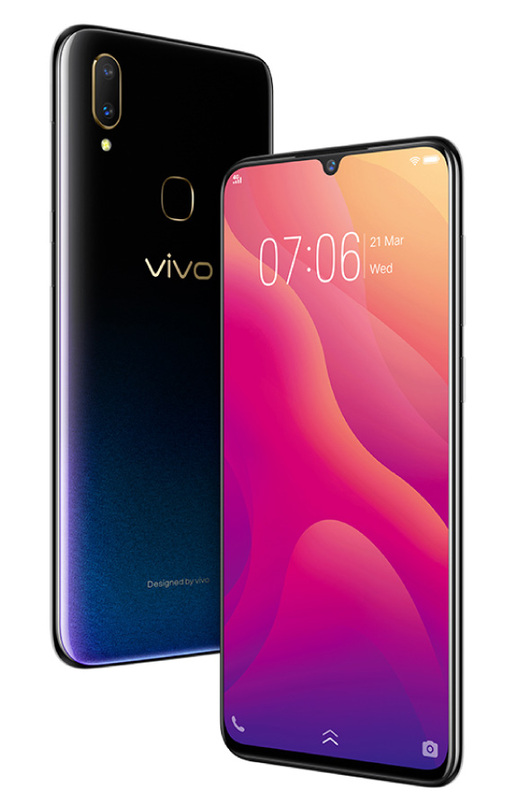 The vivo V11 series is launching in Malaysia this coming Thursday and for those who can’t wait, you can book your unit with a RM100 booking fee. Similar to the OPPO F9 that was introduced in Malaysia recently, it has a tiny notch and the V11 comes with a gradient paint job. This is also the most affordable smartphone you can buy in Malaysia that comes with an in-display fingerprint sensor. 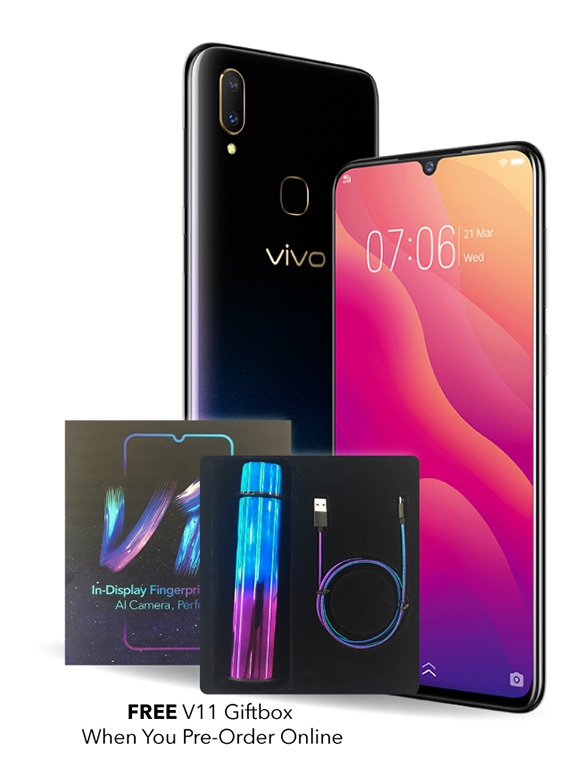 The vivo V11 is officially priced at RM1,699 while the more affordable vivo V11i is listed at RM1,299. Both features a FullView display and they come with a large 128GB of internal storage. If you’re interested, retailer DirectD is accepting pre-orders at only RM100 at their online store and retail outlets. Alternatively, you can also pre-order both the vivo V11 and V11i by paying the full price on Lazada Malaysia. According to Lazada, stocks are expected to arrive on 15 September 2018. As a pre-order promo, V11 and V11i pre-order customers can get a V11 Giftbox plus additional goodies. On DirectD, they are offering extra 6 months extended warranty and a hotel voucher, while Lazada is providing a Digi Redemption Card with 60GB of data. Among the two, the V11 has the better hardware. It gets a 6.41″ Full HD+ Super AMOLED display in a 19.5:9 aspect ratio and it runs on a Qualcomm Snapdragon 660 AIE processor. The V11 also comes with 6GB of RAM and there’s 128GB of internal storage. For imaging, it gets a 25MP f/2.0 selfie camera housed on a tiny notch, while the rear get a 12MP f/1.8 + 5MP f/2.4 camera combo with AI photography features. 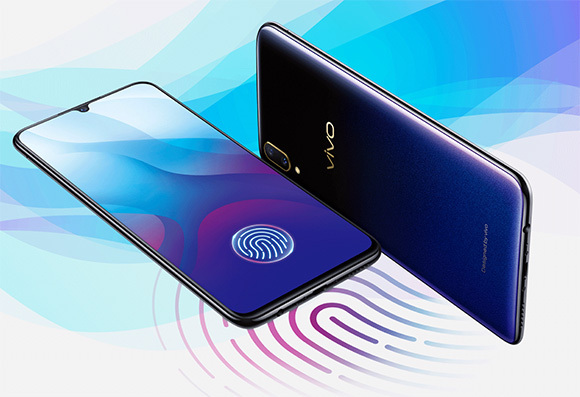 To unlock the device, it comes with an in-display fingerprint sensor, which is the first for vivo’s V-series lineup. Powering the device is a 3,400mAh battery which still charges via microUSB and it supports vivo’s “dual-engine” fast charge. The V11 is available in two colours – Starry Night and Nebula. 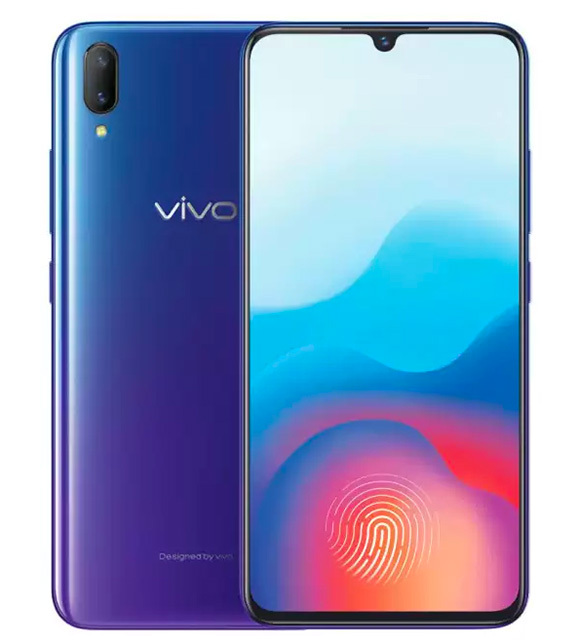 The vivo V11i on the other hand is the more affordable alternative in the V11 series. Priced at RM1,299, it gets a slightly smaller 6.3″ Full HD+ display and it is powered by a MediaTek Helio P60 processor with 4GB of RAM. Internal storage is still 128GB like the V11 and it also comes with a 25MP selfie camera. Over at the rear, there’s a 16MP + 5MP dual camera combo and there’s also a rear-mounted fingerprint sensor, since the in-display unit is only available on the more expensive V11. Powering the device is a slightly smaller 3,315mAh battery. The V11i is also available in Starry Night and Nebula. vivo Malaysia will launch the V11 and V11i officially on the 13 September 2018. You can catch the event live on their Facebook page.